Looks completely natural, but diameter is slightly bigger than mine. 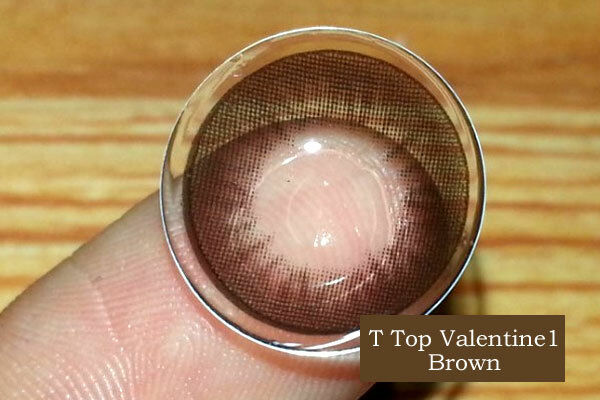 You would not be able to tell if these were colored circle lenses = the most natural enlarging effect. On the model it looks like the rim of the contact is darker, but my eyes the whole thing looks exactly like my natural eye color so there's no definition. This would look much better if there was a slight dolly effect.